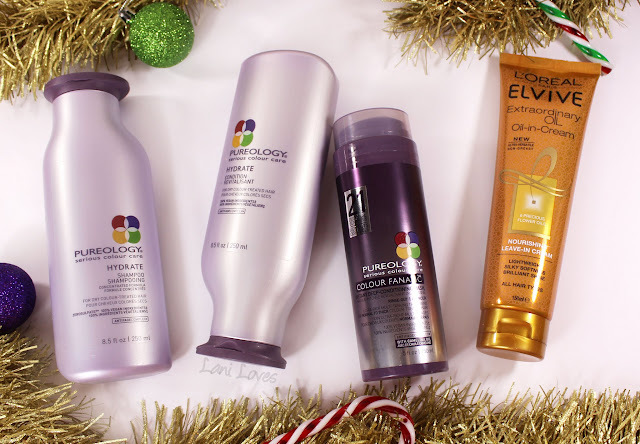 Today's gift guide is one for the haircare junkies! 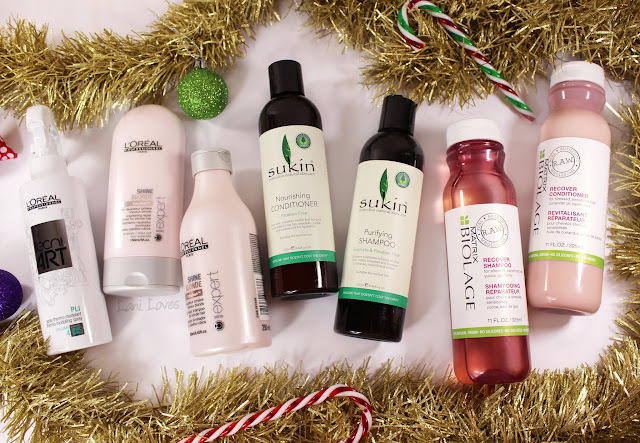 Quality haircare is something we don't always budget for so receiving it at Christmas time can be a wonderful treat. That being said, it doesn't necessarily have to be expensive, either! 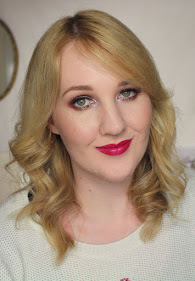 Here are some of my favourite picks across different price points for this holiday season. This Hello Kitty Compact Styler Tangle Teezer (RRP $34NZD at selected pharmacies, hair salons and department stores) is blimmin' adorable and so handy to pop in your handbag! I use mine all the time, especially on the school run - who has time to brush your hair when you're wrestling kids out the door? That's what stop lights and travel brushes are for! I also really like how painless Tangle Teezers are, as I have both thick, medium-length hair and two very enthusiastic children who love to brush it - and despite their best efforts, they're not always the most gentle! There's no snagging or tugging with the Tangle Teezers, they just glide on through. There are a couple of limited edition designs out at the moment: two Hello Kitty ones in white and black spots as pictured above or pastel pink & white (I'm giving away the pink one on my Facebook page!) or if you fancy something a bit more 'grown up', there's a rather glam Lulu Guinness design available which sports bright red lips on a black and white striped background. 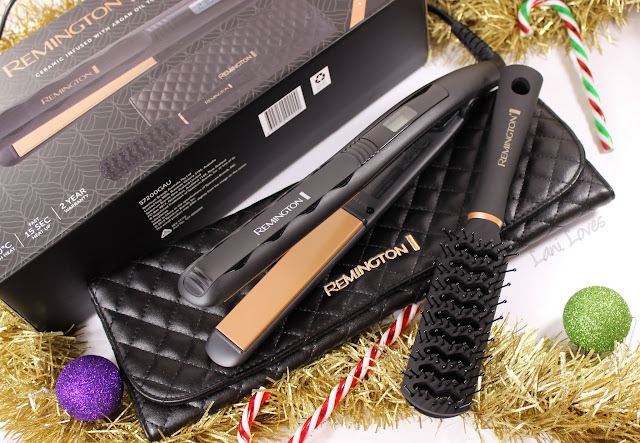 Remington's gift packs are always value packed and the Shine Revival Straightener set (RRP $129.99ND at selected department stores) is no exception. Alongside the versatile wet or dry straightener, you'll find a vent brush and a heat proof storage pouch. I'm notorious for bunging my straightener in the front of my suitcase with no additional packaging so this pouch will be great for travel, plus I love the additional protection it offers to surfaces when putting your straightener down during use or once it's switched off. I've been using Remington hair straighteners for several years now and they're reliable and sturdy - mine have only been replaced due to a surplus of hair straighteners and not for any fault! I'm certain that anyone who's keen on heat styling would love to find this set under their Christmas tree. Another great gifting option from Remington is the Shine Revival dryer (RRP $159.99NZD), which I reviewed here. Haircare gift packs are also a great way to go, particularly if you know your gift recipient and their hair concerns well. They can be a great way to treat them to a salon brand they may not necessarily splurge on themselves, or introduce them to something new. For blondes, there's the L'Oreal Professionnel Shine Blonde set (RRP $59NZD at L'Oreal Professionnel salons) which contains a purple shampoo and a conditioner to neutralise any brassy tones along with Tecni.Art Pli, which is a thermo styling spray to add volume and hold to curly and wavy styles and is especially great for thick hair. 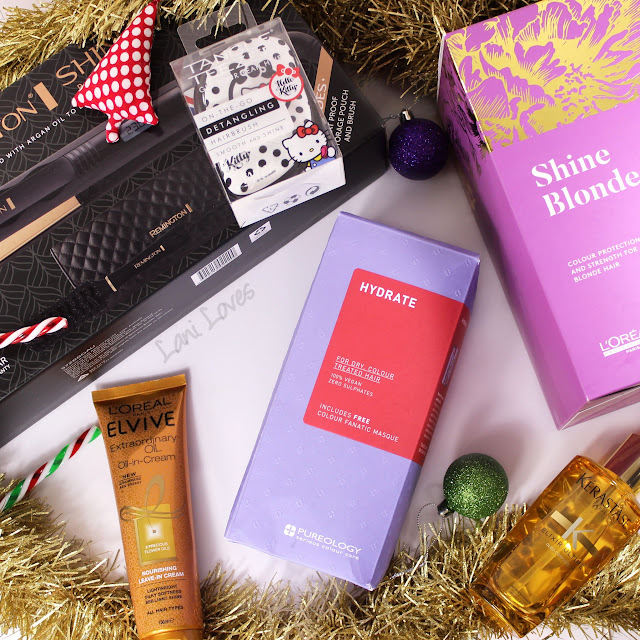 Like all of L'Oreal's hair care gift packs, this set comes beautifully packaged with gold foil patterning on the box (you can see it in the first image in this post) - just pop a bow on it and you're good to go! If sulphate free and natural hair products are your jam, Sukin have a lovely range with options for different hair types starting at $14.99NZD for 250ml (Farmers and selected pharmacies). I've been trying the Purifying Shampoo and Nourishing Conditioner (pictured) and although they're intended for normal hair, my dry and damaged hair is still lapping them up happily! The Matrix Biolage R.A.W range similarly focuses on natural ingredients to restore stressed, damaged hair, with their Recover Shampoo and Conditioner (RRP $39NZD each at Matrix salons) being jam-packed with nourishing ingredients like yucca, goji berry, coriander oil and kaolin clay. Pureology's Hydrate gift set (RRP $83NZD at Pureology salons & stockists) is an excellent treat for anyone with dry, colour-treated hair (*raises hand*), containing a shampoo, conditioner and a Colour Fanatic Masque, perfect for nourishing dry hair when it really needs it! If you're wanting something a bit more budget-friendly, I highly recommend L'Oreal Elvive Extraordinary Oil Leave-In Cream (RRP $9.95NZD at leading supermarkets, pharmacies and department stores). It's super-nourishing but lightweight enough that it doesn't weigh down hair and a little goes a very long way (a nut-sized amount is recommended to cover your mid-lengths and ends). You can't beat that price either! 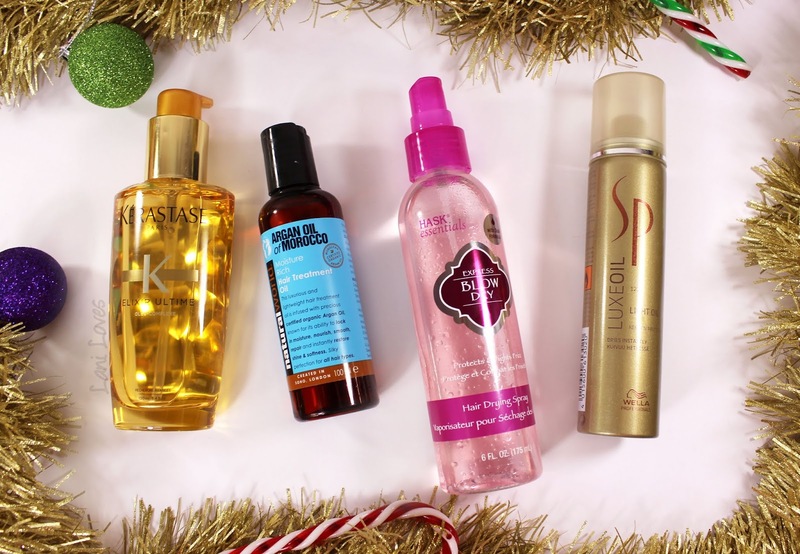 Hair oils and heat protectants are an absolute must-have in my haircare routine and I'm keen to convert as many of my giftees as I can to them! Kérastase Elixir Ultime (RRP $50NZD at Kérastase salons) is a spendy option, but Kérastase aren't kidding around - their formula is pristine, it smells amazing, it makes my hair feel incredible - I'm obsessed and I'm not even exaggerating. Gift a hair oil devotee this and they'll LOVE you for it. Moving down several rungs on the budgeting ladder, but no less awesome is Natural World Argan Oil of Morocco Hair Treatment Oil (RRP $12NZD at Postie+), which is a product I've used and repurchased for years and years. Compared to the Kérastase oil, I feel that I use more of this during an application but at that price, you can afford to, can't you? It smells great and hydrates my dry ends wonderfully. Highly recommend! Heat protectants are such an important step when going anywhere near your hair with any heat styling tools and Hask Express Blow Dry (RRP $15.99NZD at selected pharmacies & department stores) is a really nice option. It's primarily intended to speed up the blow drying process (always appreciated with thick hair like mine!) but protects your hair from heat and reduces frizz too - and again, this is another product with a beautiful fragrance to seal the deal. 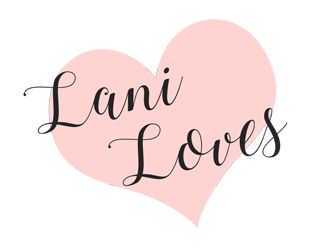 Finally, another hair oil, this time one that is perfect for anyone who doesn't like the feel of applying the oil (I getcha, it can be a little gross!) - Wella Salon Perfect Luxe Oil Keratin Protection Spray (RRP $38.99NZD at Shampoo Plus) is a very lightweight spray oil that you mist through your hair and brush through. I really like it for spritzing through my hair when it's looking a little dry or frizzy post heat-styling as the lightness prevents it from ruining your fresh style but it still makes a real difference in how smooth and hydrated your hair feels. Christmas is getting so close now! How is your gift shopping going?